April « 2014 « Paul Shih – Toy Designer, Illustrator & Artist. 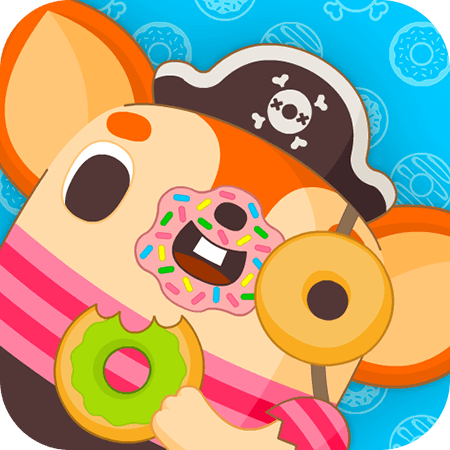 Posted in GAME, PRODUCT | Comments Off on Donut Pirate launched on AppStore! For the Love of Donut! 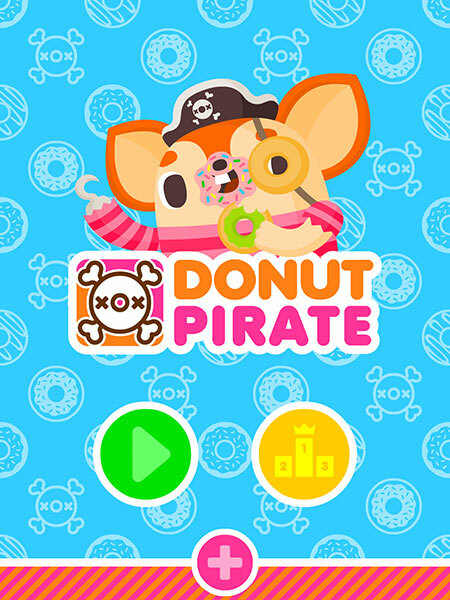 Donut Pirate is a casual game I’ve been working on for over 2 months, with some helps from friends and family, it’ll finally see the light in a few days! 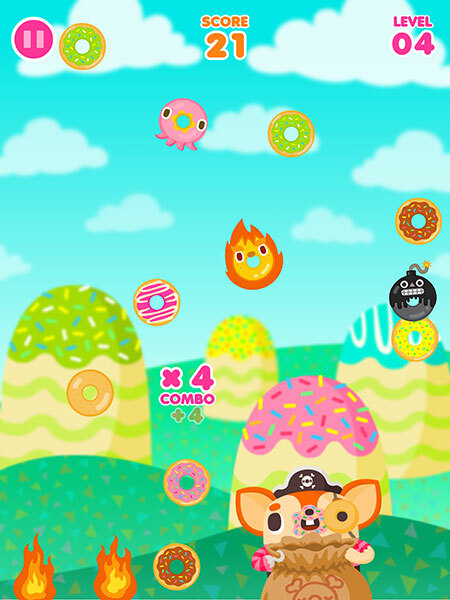 It started with a simple donut catching idea involving my Donut Pirate character and a lot of donutsssss! 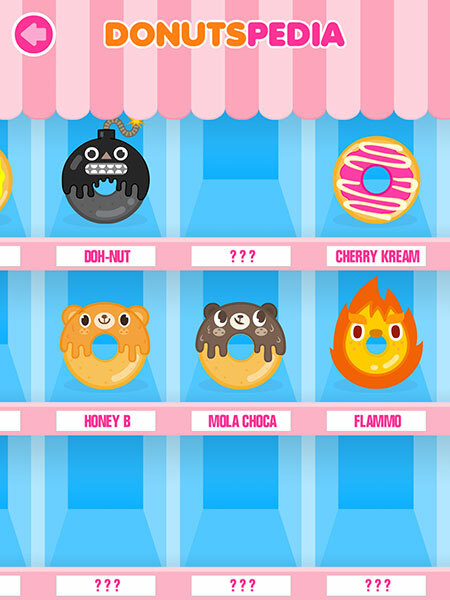 and the first thing came to mind is OLLA BOKU‘s cute donut drawings, so instead of me doing donut designs from scratch(likely end up something similar to OLLA’s), I thought it’d be fun to get her involve in the project, and I talked to OLLA about the game concept, she has been extremely supportive and easy to work with, contributed her large library of delicious donuts, allowed me to mess around with her designs to fit the game’s art style! OLLA BOKU not only draws donut, she also makes them….in wool! 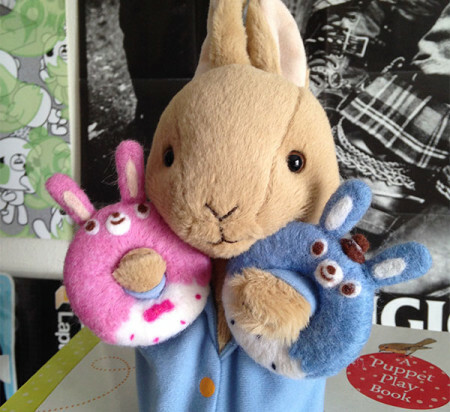 below are her handmade wool-plush donuts – LuLu & her partner, they are my favorite donuts from OLLA, which also appeared in the game! 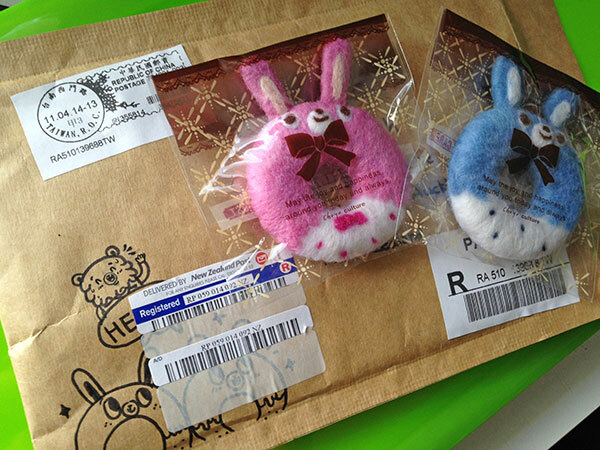 Thank you OLLA! 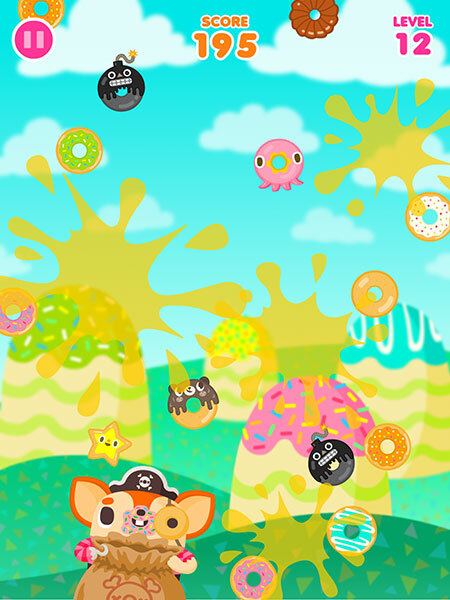 Posted in GAME, PRODUCT, WORK IN PROCESS | Comments Off on For the Love of Donut! 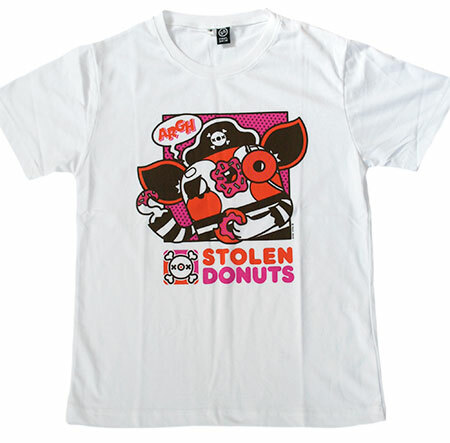 Donut Pirate, a chihuahua inspired donut addict character, the very first Donut Pirate was created in 2008 as a paper diorama(above), followed by 3 colors Donut Pirate tee(below). 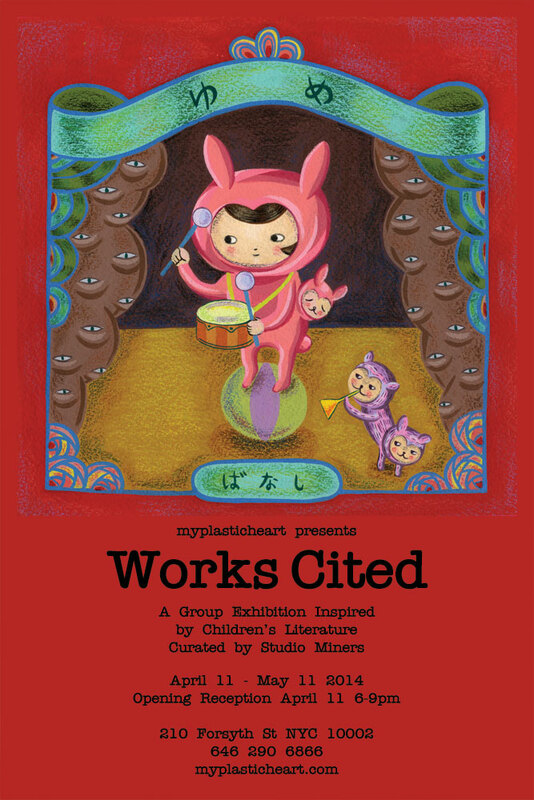 “Work Cited” is a group exhibition inspired by children’s literature, curated by Studio Miners, opening on Friday April 11. In this exhibition, I’ve painted ‘Momotaro’ from memory, a Japanese folk tale about a boy who was born from a giant peach, and his journey of fighting monsters in a distant island, where he met some new animal friends who helped Momotaro in his quest. 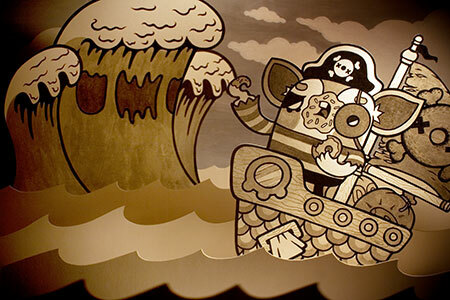 It’s one of most unique and creative children’s story I’ve read, and probably the most memorable one, as there are all sorts of products for it, I was really into it when I was a kid, remember saw the Momotaro movie, cartoon, played its own video game, and even till today I still check out its ever growing related products. 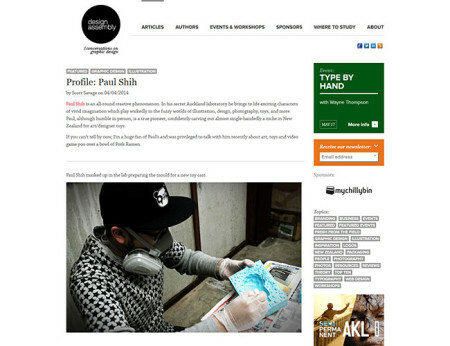 I was recently interviewed by Design Assembly, a NZ graphics design community providing inspiration and latest industry information for NZ creatives. In this interview I talked about how I get into toy making, my toy designs, inspirations, my first game “Doo Doo Diving“, upcoming new game “Donut Pirate”…and many more, you can read the full interview online here.